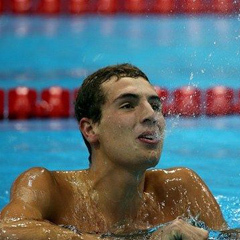 London - South Africa's Charles Bouwer has claimed a silver medal in the men's 100m backstroke S13 final at the Paralympic Games. Bouwer finished in a time of 59.92 seconds, setting a new African record. Belarusian Ihar Boki stormed to the gold medal in a world record time of 56.97 seconds.